Avian Flu Diary: Emerg. Microbes & Inf. 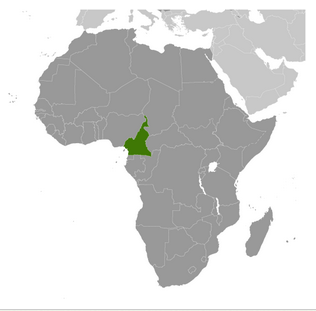 : H5N1 Exposure & Human Seroconversion - Cameroon. Emerg. Microbes & Inf. : H5N1 Exposure & Human Seroconversion - Cameroon. 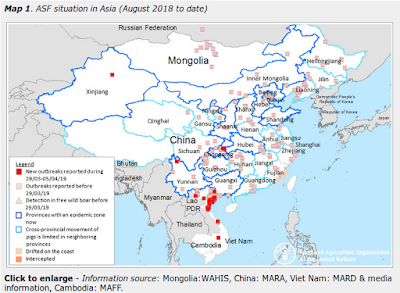 Just over two years ago, in The Challenge Of Avian Flu Surveillance In Sub-Saharan Africa, we looked at one of the big mysteries surrounding the H5N1 virus; the lack of reported human infections in Africa outside of Egypt. West Africa, in particular, has reported a great many HPAI H5 outbreaks in poultry, but outside of Egypt, only two human infections have ever been confirmed by the WHO in Africa; one in Djibouti in 2006, and one the following year in Nigeria. There were three other suspected Nigerian cases at the time - including the mother of the confirmed case in Lagos – but testing was delayed, and deemed `inconclusive’. Of course, there are likely outbreaks and incidents which we don't know about, or only have hints. A good example came in early 2016 in Libya's Under Reported Burden Of H5N1 (FAO Workshop), where we saw an FAO report which cited `at least 4 deaths' due to H5N1 in Libya beginning in December of 2014, and more than 100 suspected or confirmed poultry outbreaks. Yet `officially', Libya has never reported a human H5N1 infection to WHO and their only OIE report in 2015 listed 12 chickens affected by H5N1. Sadly, roughly six thousand people die each and every day in Africa, from all manner of diseases. AIDS, Lassa fever, malaria, pneumonia, water borne illnesses, and TB; just to name a few. In many (probably most) cases, these people aren't afforded access to modern medical care, and even if they are, they are almost never tested for `novel' flu strains. A lack of reported H5N1 infections in areas where no testing is done, is hardly surprising. One way to try to gauge the impact of a specific virus on a population is to conduct a seroprevalence study; to take blood samples from a cross section of society (or representing high risk groups) and to test them for virus specific antibodies. Three years ago, in EID Journal: H5N1 In Egypt, we saw a report on a seroprevalence study that found antibodies for H5 in roughly 2% of the people tested, suggesting tens of thousands of cases may have gone uncounted in Egypt. Also in 2016, in JID: High Seroprevalence Of H5N1 Antibodies In Indonesian Poultry Workers found a remarkable 84% of the sera tested positive for antibody activity against the avian virus, despite a lack of reported serious illness among the 101 workers tested. Whereas in 2012, in H5N1 Seroprevalence Among Jiangsu Province Poultry Workers, we saw a study that found across three locations tested (Gaochun, Jianhu and Gaoyou counties) the percentage of workers testing positive ranged from zero (Gaochun) to 5.38% (95%CI, 2.19%–10.78%) in Gaoyou. In 2011, a study (see Subclinical H5 & H9 Infections In Humans) tested 605 residents in and around Beijing China for antibodies to H5 and H9 avian flu viruses. Of these, just 5 (less than 1%) had antibodies to H9 avian influenza, and only 1 was positive for antibodies to H5. While we often talk about H5N1 as if it were a single threat, in truth it encompasses a growing array of viruses, with considerable variability in each strain’s ability to infect and sicken hosts (see Differences In Virulence Between Closely Related H5N1 Strains). Quite simply, the clade of H5N1 circulating in India or Nepal is genetically different from the clade in Indonesia, Egypt, or West Africa. And within each of these clades there are constantly evolving variants. Additionally, not all of these clades leave as long-lasting of a mark on a human's immune system as some of the others. Antibody titers can fade over time, lessening the sensitivity of seroprevalance testing. Still, it is our best retrospective tool to gauge the level of exposure and likely infection of a virus in a given population. We have a recently published report in Emerging Microbes & Infections that looks at the H5N1 antibody titers of 131 participants selected for serological testing, and found that as many as 12% might have been exposed, but only 1.5% showed convincing levels of H5 antibodies. The full, open-access study is available at the link below. I've only posted a few excerpts, so follow the link to read it in its entirety. When you return, I'll have a brief postscript. From May 2016 to March 2017, 22 poultry outbreaks of avian influenza A(H5N1) were reported in Cameroon, mainly in poultry farms and live bird markets. No human cases were reported. n this study, we sought to describe the 2016 A(H5N1) outbreak strain and to investigate the risk of infection in exposed individuals. We find that highly pathogenic influenza subtype A(H5N1), clade 2.3.2.1c from Cameroon is closely related phylogenetically and antigenically to strains isolated in central and western Africa at the time. No molecular markers of increased human transmissibility were noted; however, seroconversion was detected in two poultry workers (1.5% of total screened). Therefore, the continued outbreaks of avian influenza in poultry and the risk of zoonotic human infection highlight the crucial need for continued and vigilant influenza surveillance and research in Africa, especially in areas of high poultry trade, such as Cameroon. Despite not being able to detect any active avian influenza infections in poultry workers, longitudinal serosurvey suggested both prior exposure and seroconversion against Cameroonian strains of HPAIV A(H5N1) among poultry farm and LBM workers exposed to diseased or dead poultry. Of the 131 participants selected for serological analysis, 16 (12.2%) had the possible presence of antibodies against A(H5N1) isolates from Cameroon with a reciprocal HAI titre ≥ 10 on the second sampling. Three (2.3%) of these individuals had reciprocal HAI titre ≥ 20. Of the individuals positive in the second sampling, 2 (1.5%) were found to have a 4-fold increase in HAI titre between the first and second serum collections, suggesting seroconversion. Interestingly, some poultry farm and LBM workers showed an increased seroprevalence against the control Cambodian 2.3.2.1c virus strain (A/environment/Cambodia/z2EP1e3W7M1/2015) used for testing; however, it is unclear whether this could be from prior exposure or cross-reactivity due to the lack of cognate antiserum against this viral strain for analysis (Supplemental Table 6). In a similar vein, last year in EID Journal: Geographic Distribution of MERS-CoV among Dromedary Camels, Africa, we looked (again) at the mystery of why MERS-CoV (or at least a very closely related MERS-like virus) has been found in camels across much of North Africa, and yet no human infections have been reported. In 2016, in EID Journal: MERS-CoV Antibodies in Humans, Africa, 2013–2014, we looked at the results of a seroprevalence study conducted in Kenya, which found just two (weakly) positive samples out of blood samples collected from 1,122 livestock handlers in Kenya during 2013-2014. But a more recent (2018) study - Eurosurveillance: Lack of Serological Evidence of MERS-CoV In Camel Abattoir Workers - Nigeria 2016 - failed to find any serological evidence of past infection evidence among 261 workers exposed to camels in the abattoir in Kano, Nigeria. 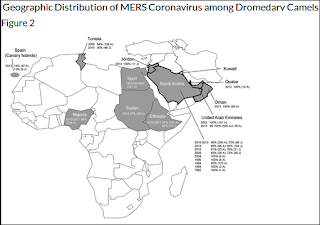 While it is possible that the African strains of MERS-CoV currently circulating in camels has less zoonotic potential than its Arabian Peninsula cousins, nobody is quite ready to write off the possibility that MERS cases may be flying under the radar in Sub-Saharan Africa.